Make your bathroom look like new with this chic, useful piece from Kraus. Finish up your bathroom remodel with this beautiful single-control faucet. Add more beauty to your bathroom with this item's easy-to-install, deck mounted design. This WaterSense certified faucet helps save water, money, and the environment. This new piece from Delta brings fresh water fast and adds a stylish look to any bathroom. Turn your bathroom into a stylish space with this single-control faucet. This item adds charm to any bathroom and is made with a mounted deck that is easy to set up. 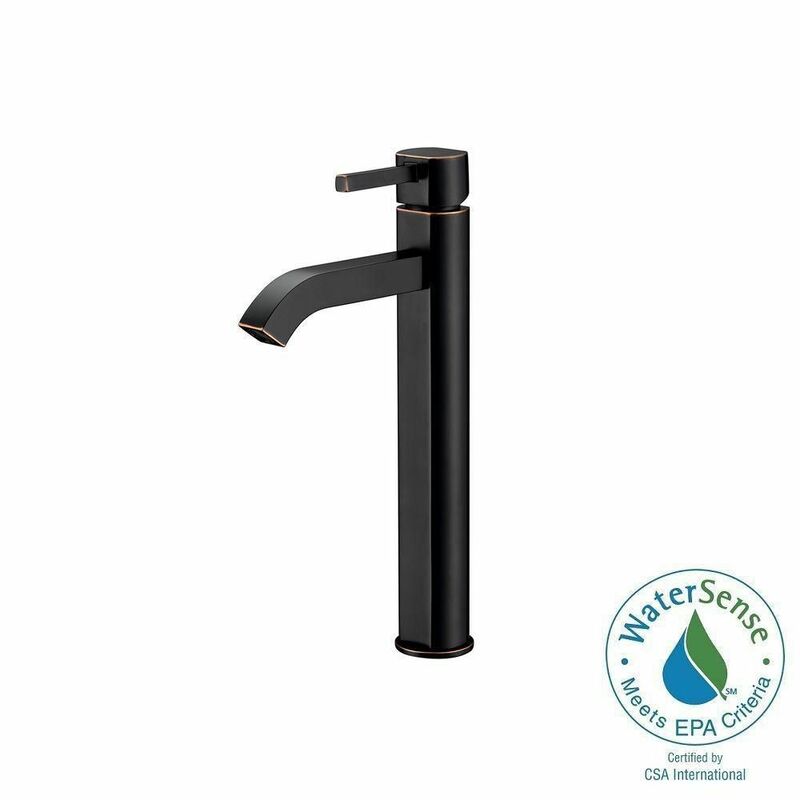 This faucet is WaterSense certified, using less water to work so you have a smaller utility bill. Brand new style meets all-around use in this beautiful piece from Kraus. Make your bathroom look even fresher with this single-control faucet. This item's deck mounted design is easy to set up so you can enjoy a finished counter top. Save water with this WaterSense certified faucet - designed to help keep you and the environment clean with less water use. Rainfall Single Hole 1-Handle High Arc Bathroom Faucet in Bronze with Lever Handle Make your bathroom look like new with this chic, useful piece from Kraus. Finish up your bathroom remodel with this beautiful single-control faucet. Add more beauty to your bathroom with this item's easy-to-install, deck mounted design. This WaterSense certified faucet helps save water, money, and the environment. Rainfall Single Hole 1-Handle High Arc Bathroom Faucet in Bronze with Lever Handle is rated 4.7 out of 5 by 14. Rated 5 out of 5 by A3vw from Excellent faucet Great feel and quality. Works perfectly. Installation was simple and no fuss. Rated 5 out of 5 by GoingCoastal from This is a beautiful faucet. The handle is smooth operating with a gliding sensation. It has a hig... This is a beautiful faucet. The handle is smooth operating with a gliding sensation. It has a high quality feel to it. We've been using it about a week and absolutely love it. Rated 3 out of 5 by Jimbo from Very nice faucet I installed this faucet 6 years ago and it started leaking at the handle. I replaced it with the same faucet because it fits next to my sink, and I like how it works and looks. Rated 5 out of 5 by johnb from Happy Works great...looks great...installed in a copper sink.